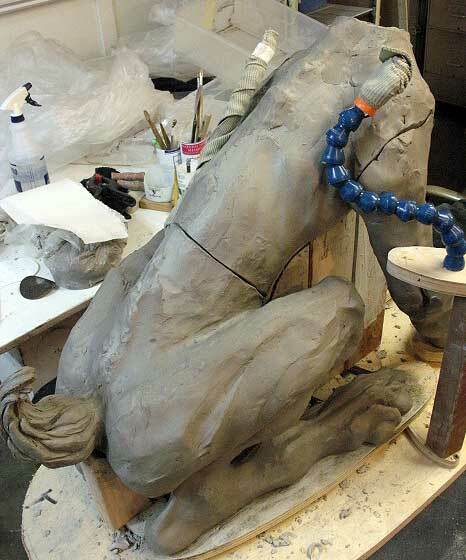 I’m done with the wet clay sculpting phase for Aristophanes. 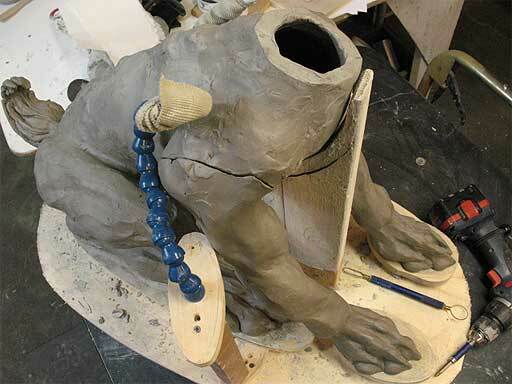 I just finished placing all the hollowed out and re-assembled sections back on the armature temporarily to get all four legs/feet to agree on what’s level, and will leave everything uncovered to firm up for a day or so before moving them … ummm … somewhere! to dry for several weeks before firing them.